I am using the PTU kit of Amy Marie. It is called Merry Christmas_Blue. You can purchase it here. I am using the work of Elias Chatzoudis. You need to have a license to use his work. You can get both here. I will use C/P for Copy and Paste. Also, please use my tag as reference as to where to place elements. Open a 600 x 600 transparent canvas. Next, C/P your tube of choice & resize to 60%. Next, C/P treeQB & resize 75%. Next, C/P packages & resize 35%. Next, C/P giftbox1 & resize 30%. Next, kitteningiftbox & resize 30%. Next, C/P puppywstocking & resize 40%. Next, C/P rockingdeer & resize 60%. Next, C/P window3 & resize 60%. Duplicate & mirror your duplicate. Next, C/P bells & resize to 30%. Next, using your magic wand, select each window pane. I had to close off my tube & the rocking horse layers to do this part of the tut. So, as i said, using your magic wand, select each window pane. I started with the window on the right. Next, C/P winterpp2. I then moved the paper around to position the part of the paper I wanted to show in the window panes. Next, go up to Selections, select Invert & then Delete on your keyboard. This will delete the paper not in the window panes. Next, do the same to the other window. With the other window I closed off the layer treeQB. After your are done with the windows, you can reopen the layers you closed off. Don't forget to add the copyright & your watermark. I'd love to see your results! Please send them to adrienneem@me.com. I am using the PTU kit called Candy Cane by Amy Marie. You can get it here. The tube is by Ismael Rac. You can get it here at his site. 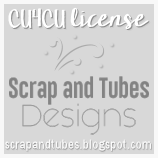 Make sure if you use his tubes that you have a license to do so. The mask, DBV Xmas Mask 14 is by Designs by Vaybs. You can get it here. You will need to scroll down the page & find & download Xmas Masks 09-16. Please don't forget to leave love for Amy & Vaybs! In this tutorial, I will use C/P for Copy/Paste. Please us my tag as a reference as where to place elements. Open a new canvas using 600 x 600 with a transparent background. To start off, open your mask & minimize. Next, open & C/P paper, pp20. Select Layers at the top of your screen. Select, New Mask Layer. Then select, From Image. From your drop down menu select your mask. Make sure the box for Invert Mask Data is UNCHECKED. Click Ok.
Next, C/P your tube. If you are using the same tube as I am, resize her to 80%. Next, select Layers & Merge & Merge Group. Next, C/P candycaneplant & resize 30%. Next, C/P candycanewbells2 & resize 40%. Next, C/P ball2 & resize 25%. Duplicate & mirror. Next, C/P ball9 & resize 25%. Duplicate & mirror. Next, C/P snowflake9 & resize 15%. Don't forget to add your copyright & your watermark. Font: Santasleighfull, you can get it here. Background: Paper pp1 from the kit. I'd love to see your work! Please send all results to adrienneem@me.com. I am using a beautiful kit called AM_ Christmas Purple by Amy Marie. It is a PTU kit & you can pick it up here. I am also using the amazing work of Elias Chatzoudis. You need a license to use his art & you can pick up both here. I will be using C/P for Copy/Paste & please use my tag as a reference for where to place elements. To start off, I opened a 600 x 600 transparent canvas. Next, C/P your tube of choice. If you are using the same tube as I am resize her to 50%. Next, C/P Giftpacks & resize to 15%. Next, C/P cocomug & resize to 15%. Next, C/P giftbox1 & resize to 15%. Next, C/P candycaneplant & resize to 40%. Next, C/P giftbox3 & resize to 30%. Next, C/P garland & resize to 110%. This way it goes all the way across the tag. Next, C/P bell1, bell2 & bell3. All three will be resized to 15%. I am using the wonderful work of Amy Marie. This is her PTU Scrap Kit called Christmas Red. You can purchase it here at her blogspot. I am using the beautiful work of Elias Chatzoudis. You may purchase his work here at PTE. The font I am using is called Flakes. You can get it here. Use my tags as a reference as to where to place the elements. To start off, we will open a 600 x 600 transparent canvas. The first element we will C/P is the frontentrance & resize to 80%. Next, let's C/P SnowA & duplicate 2 times. I positioned the duplicates to make it look as if it is really snowing outside of the front entrance. Next, C/P the MetalTree & resize to 65%. Next, C/P Christmassign & resize to 65%. Next, C/P giftpackages & resize to 25%. Next, C/P giftboxkitten & resize to 25%. Next, C/P Rudolph-2 & resize to 30%. Next, C/P wreath2 & resize to 15%. C/P & resize to 50%. Add your copyright, watermark & license #. Font for Copyright & Watermark is Arial. I would love to see your results! Please send them to agelesskarmacreations@live.com. "Copyright ©AgelessKarmaCreations 2013 All rights Reserved"